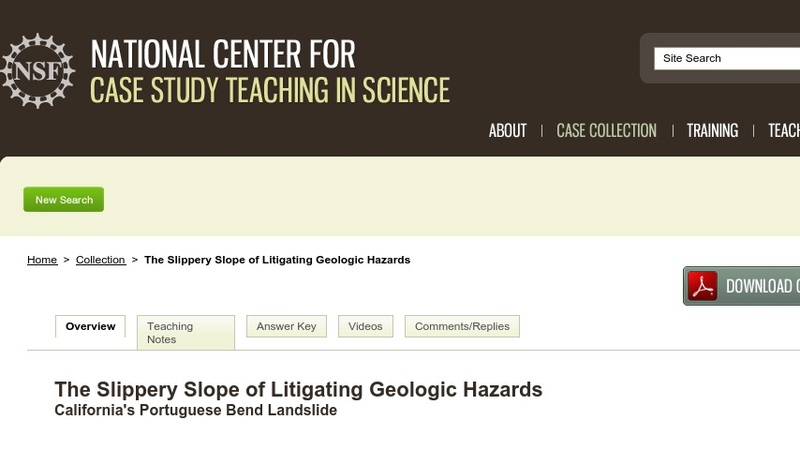 This case, based on a lawsuit brought against the County of Los Angeles by homeowners suing over damage to their homes in the wake of the Portuguese Bend Landslide, teaches students principles of landslide movement while illustrating the difficulties involved with litigation resulting from natural hazards. Students first read a fictitious newspaper article (based on the actual events), then receive details about the geologic setting and landslide characteristics. With this information, the students are then asked to evaluate the possible causes of the disaster. The case was developed for use in a non-majors’ introductory course in environmental geology.